In February 2013, Nepal Polymer Institute joined IUPAC and became the Union&apos;s 61st National Adhering Organization. The Nepal Polymer Institute is a national, nonprofit, professional organization registered under the Kathmandu District Administration Office of the Nepal Government. The institute was founded in 2010 by a team of enthusiastic chemists working at different academic institutes and government bodies under the leadership of Dr. Rameshwar Adhikari, associate professor at the department of chemistry, Tribhuvan University, Kathmandu. 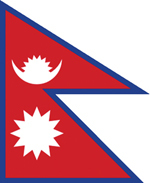 Nepal&apos;s provisional NAO status shall be ratified by the IUPAC Council in August 2013, along with that of Mozambique and Argentina who joined IUPAC in July and September 2012, respectively.